If he is in a uniformed environment, such as a Doctor, ( A Doctor, as to the degree that he is required to wear the white coat over his regular garment ) Nurses, Technicians, Military officers and so forth. All companies and establishments do require a dress code, spoken or unspoken; yes we all must follow a dress code, certainly if we intend to live and thrive in modern and civilize society, and indeed in the workplace. In this post, we are turning the focus on msn’s dress in the workplace. I want to get specific and talk about what is the required to dress for men. Outside of the professional arena where a distinct uniform is required, such as Military, Medical, Cheffery and Technicians. There is not to date, many specifications to be made, because the dress code for men, barring the previous mentioned: is not different from that, which is outside of the work environment. None inclusive of the casual, relaxed mode of athletic apparel. The traditional mode of workplace atire is the suit. He wears it to every event, from the office to the dinner table the wedding to the funeral. Wherever his life takes him, the suit for the man is the fashion for all occasions. Should there, or can there be another form of acceptable workplace attire for men? A well-dressed man in the workplace. 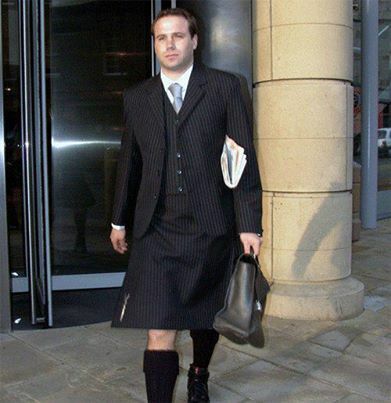 You would think you can’t go wrong by wearing a suit in the workplace, but think again, somehow, at times it does go very wrong. How do you ask? Well take this example, GQ published an article about a congressman giving him the worst dressed title ever; why? He wore a suit with a polo shirt and bowed tie, how amazing. Go to The man suit for more thoughts on this topic. A well-dressed man in the workplace should simply look good and feel good, as this is a place where you need to focus on nothing but your work and this is where the, [ I do believe ] useful suite succeed. President Obama in an interview posted by Suzanne Lucas; states: ” I wear only gray or blue suits. I’m trying to pare down decisions. I don’t want to make decisions about what I’m eating or wearing. Because I have too many other decisions to make”. So to dress for the work place, the suit ( Button down shirt, pants, matching jacket and tie, perhaps a bow tie abd not with a polo shirt, please. ) should be a good and easy choice, for the fashion savy man and even the guy who don’t want to think about what to put together. I wonder if this is why the suit was instituted, and why it has for the last 100 or more years continue to be the look to go to when you cant be bothered. May I ask here, what about the man who wants something a bit different from the normal workwear? We have established that the triditional workplace atire for the man has its place in the scheme of it all. But how do men feel about thst when they actuallt take a moment to think about it and add a voice. Take a look. Thank you for visiting. There is more to say about this. Let us talk; please leave a comment below and lets discuss more of the man dressed in the workplace. Be the first to comment on "For The Work Place"